Iceland lies on the Mid-Atlantic Ridge, which is why it has volcanic activity. Iceland also has ice caps and glaciers. Iceland is one of the fastest-warming places on the planet – as much as four times the Northern Hemisphere average. The glaciers that cover more than 10 percent of the island are losing an average of 11 billion tons of ice a year. The water melting from Iceland's glaciers would fill 50 of the world's largest trucks every minute. 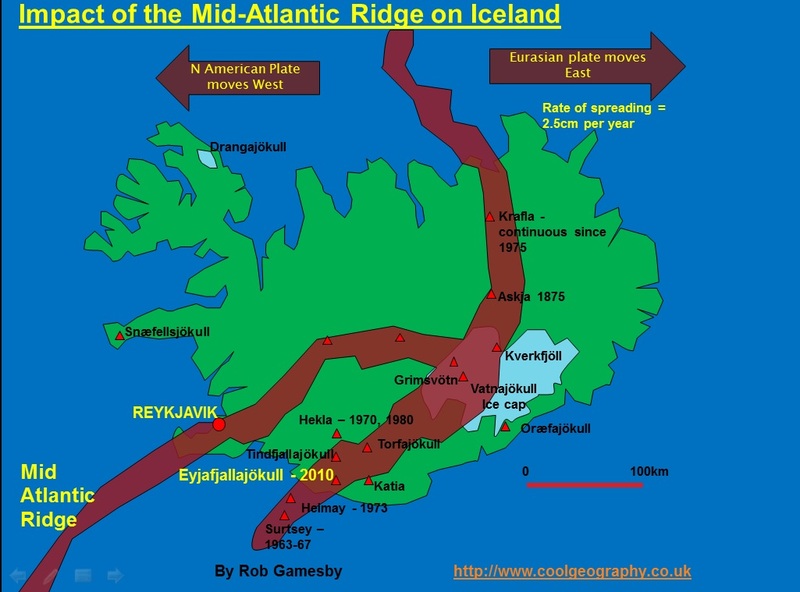 Parts of Iceland are rising as the ice caps melt, reducing the weight on the Earth's crust. The thinning of the ice caps reduces the pressure on the rocks. Geologists know lower pressure from above makes volcanoes erupt more easily. Lower pressure allows volcanic gases to expand, and mantle rocks melt more easily at lower pressure as well. So more magma can rise into the volcanic systems. As that happens, Iceland's volcanoes may get more active.